Maybe you’re tolerated as a friend of a friend, or just one of the group? You can find out, just move here. 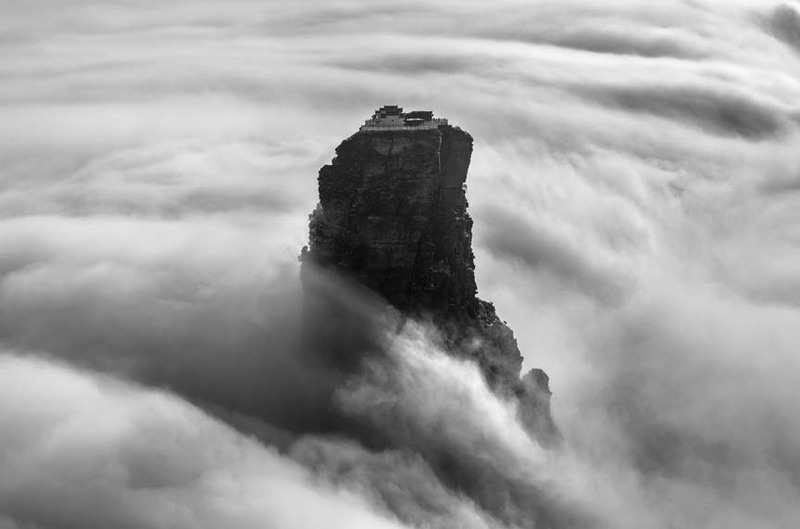 Mount Fanjing, or Fanjingshan, is part of the Wuling mountain range in southwestern China’s Guizhou province. 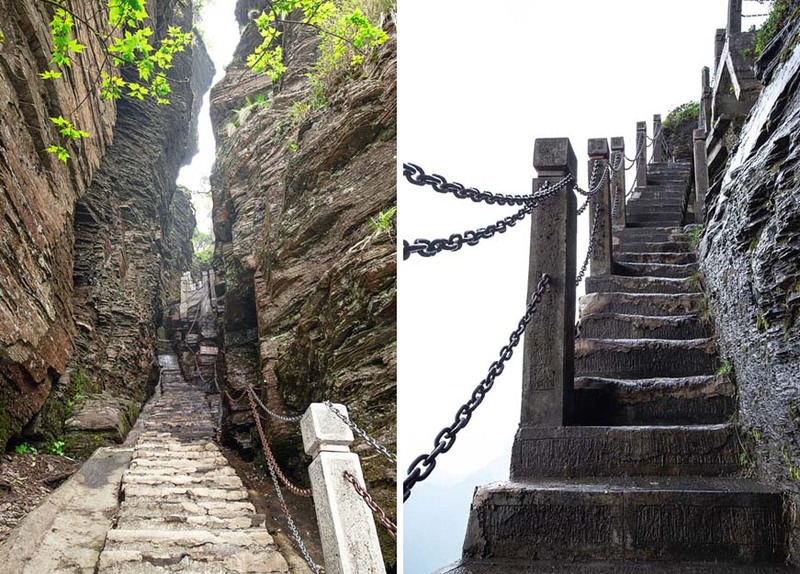 Named as a UNESCO World Heritage Site last year, the mountain is home to a conservation area, a nature reserve, and a number of Buddhist temples—it has been considered a sacred site for centuries. 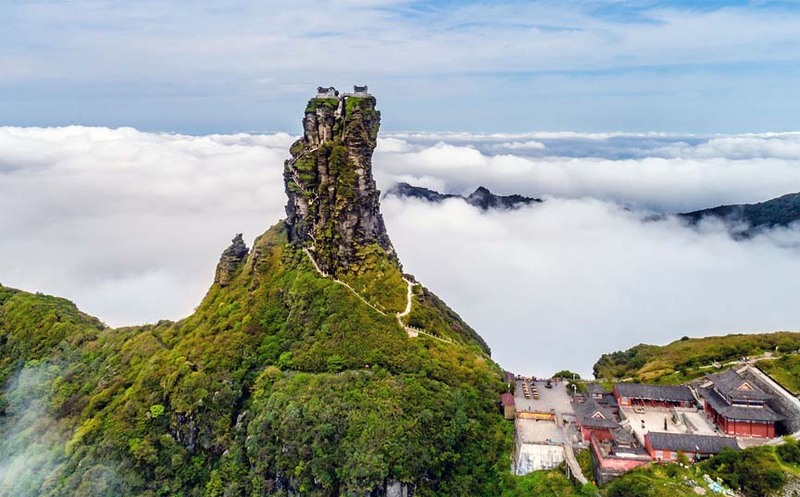 Two of these temples sit atop a lonely spire called the New Golden Summit, or Red Clouds Golden Summit, which rises more than 330 feet (100 meters) above the surrounding mountaintop. The Temple of the Buddha and Maitreya Temple are separated by a narrow gorge that visitors can cross via a short bridge. 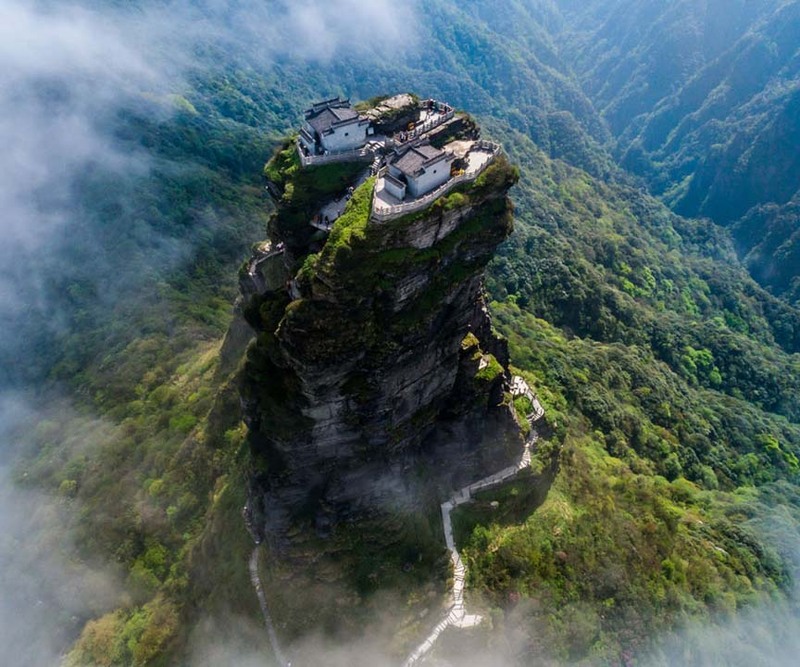 The Fanjingshan (Chinese: 梵净山; pinyin: Fànjìngshān) or Mount Fanjing, located in Tongren, Guizhou province, is the highest peak of the Wuling Mountains in southwestern China, at an elevation of 2,570 m (8,430 ft). Your friends may visit once for shits & giggles, but look at those stairs while trying to breath at 8500 feet. I guarantee that if you lived there and asked a friend to help you move, you'd hear nothing but crickets.